I'm sure you are correct Josh. I'm sure that probably even the wikis are correct (technically) . Just too much for me, too much effort to have the basic effect. No user of any flight simulator should have to go through that much effort to simply see the other aircraft in the MP environment, never. It should be automatic. This is exactly the reason why FG users leave FG to go to FSX or X-plane, Josh. Flightgear WIKIS, in general, harm nominal Flightgear users. If there is anything valuable in their content, then that content should be reintroduced into Flightgear in a more controlled way, and surely in a way that does not confuse or otherwise harm new Flightgear users. John is not wrong. It's ashame that it is perceived this way. Because of the nature of the FlightGear project I don't really ever see this changing. There is only so many volunteer man hours available to do all things FlightGear. Maybe we should put more emphasis on what FlightGear is and what it is not in its advertisements. We need to be more clear about its capabilities also about where it is lacking. A way to let potential new users know what it is they're getting into before they delete their FSX and climb on board. That it isn't a "limited", canned and polished Flight Simulator but more of a flight simulator sandbox with some extraordinary features and wide open capabilities. I really do remember well a lot of what I see John reacting to as well as many other new users. I see it as preconceived expectations that are manifest to a real negative experience when anyone that has been around for awhile knows is actually some of FlightGear's more positive aspects. Funny thing is though, even the effort required to reword what we advertise would probably be really slow going. As to your question " Who is going to do it?" Well, that's a very good question. 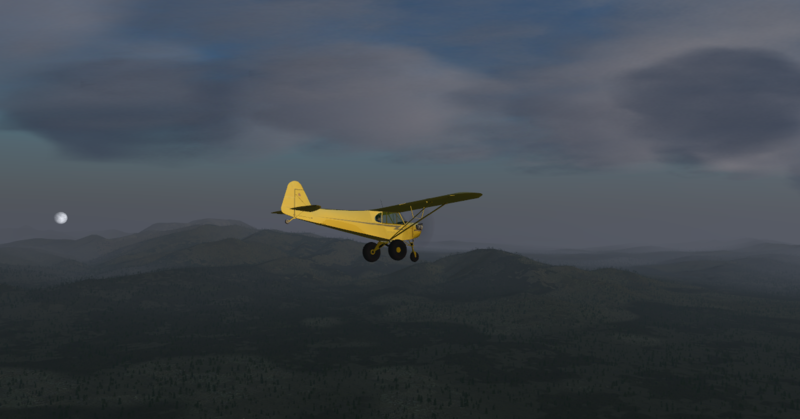 Flightgear is a volunteer project. So, who will do it? Everyone is welcome, but nobody is obligated. So , who will do it? I'm willing to invest my time to fix it, are you willing to invest yours? Exactly, no, many if not most will not. I won't, I am working on fixing two different aircraft that are broken due to a recent change somewhere in the vast core with my alloted time. Others don't really care what a new user thinks and whether they stick around or not because of these things. I do care because I saw many of the same things and had the same perspective. I still get frustrated when I can't find something I know is probable readily available but I just can't find it quickly. I want better and more organized documentation, so I want you to stick around and fix it. That's a win for me. The difference is I managed to somehow outlast the disappointments until I eventually saw the potential and by then I was all in. I know that if there is something that bothers me enough, I am free to put my time in to correct it. Last edited by wlbragg on Mon Apr 08, 2019 6:03 am, edited 1 time in total. Because of the nature of the FlightGear project I don't really ever see this changing. I do see it changing, we just haven't hit critical mass yet. At some point FlightGear will have a tipping point. The number of users will significantly increase. New groups will form similar to the existing groups we have that enjoy livery creation, aircraft creation, scenery creation, multiplayer events, WIKI maintenance, FlightGear Manual, Space Shuttle, ticket support, community support, language translations, SOTM, newsletter, etc. It's actually quite amazing how many little groups FlightGear already has. I'm optimistic that these groups will increase in both quantity and size over time. 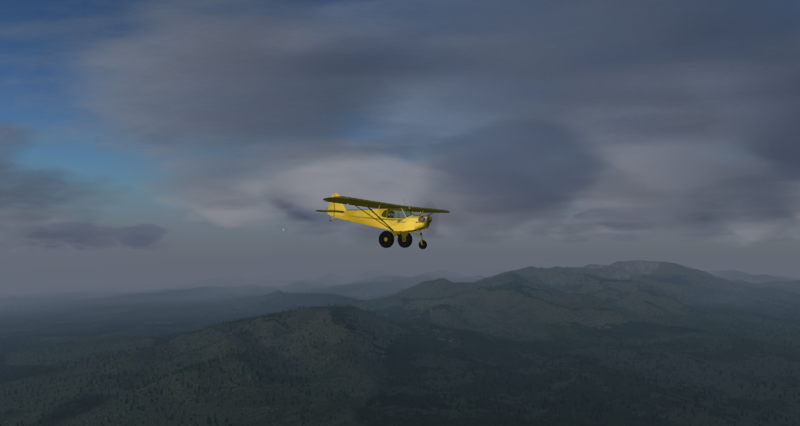 FlightGear gets better when passionate people get involved. When I decided to get involved, most of my time for the first six months were fixing things I felt were broken. e.g. Refreshed the FlightGear Manual, Maintenance of Tickets, Support TerraGear for Windows' users, Create a 'download_and_compile' build process for Windows' users (e.g. fg-from-scratch), etc. I encourage anyone that feels that there is an area needing some love to go all-in. Invest a little time to make it better. Ideally, encourage others to join you - it's more fun when a group tackles a problem together. That investment you make moves us one step closer to 'the tipping point'. 1. Identify the problem. Write it down. If you have trouble writing a description of the problem, then you don't yet fully understand the problem. Keep refining it until the problem is clearly identified. 2. Take an action. Q:What action should I take? A:It doesn't matter. Just pick an action that you believe will move you one step closers to your desired outcome. Doesn't need to be a big action. Small actions are very effective. 3. Evaluate your result. Did I in fact move closer to my goal? I don't think we widely advertize that way. In fact, I don't think we advertize much at all. And I don't know any user who deleted FSX to continue with FG. Much of what is actually happening out there is rigged contests (a bit like V12 was doing of late) - take your 500$ paid add-on setup, make a screenshot of that, make a screenshot of FG with all graphical goodies disabled, make a post reassuring yourself how well these 500$ were spent. What I post on Flightsim.com or on the FG page are simply reports - that is what we've implemented, that is what it can do. I don't believe anyone has ever advertized ease of access or things working out of the box. The other thing is - you need to give some piece of software a chance. I remember my first Linux machine when Gnome 3 was introduced - I couldn't find a thing, I couldn't get my xterm like I was used to, I was so very annoyed at that crappy software. I decided to give it a chance - two weeks later it was okay, these days I firmly believe Gnome3 is the most brilliant desktop concept I've ever used - I find myself annoyed sitting in front of a Windows desktop that it is so unresponsive and requires me to use menus for every action. (By the way, talking to FSX users, it seems to be a myth that things generally work out of the box - at FSWeekend, I was treated to long stories how addons are not compatible, some require a certain patch level, others a different one, sometimes they have to be installed in a certain order, if you acquire a new addon, it means you might have to install everything from scratch because that order is violated,... usually they were quite ready to admit that the FG way of merging everything into mainline is a lot better). So in the end, what I'd like to achieve with what 'PR' we do is to change the pre-conceived notion that FG is necessarily looking bad. Once that is out of the way, people may or may not get curious. They may try FG. Some will find that its OpenSource style does not meet their expectations - they prefer to be customers who get a finished product rather than members of an OpenSource community trying to tinker a bit. They'll go back to FSX. Yet a few might like the possibilities that are there and will see the chances - these are the users we'd like to attract. I guess the mistake is to assume that it's a bad thing if users prefer FSX or XP. No - it's a good thing - we are not FSX II, we do not cater for the same type of users. It's good that there's choice what you want to have - it gives us in FG the freedom to explore what we'd like to get out of a flightsim. We would not have a Space Shuttle that detailed if we were obliged to actually sell it to customers - most would be unhappy because it's not easy to learn how to use it, we'd get bad reviews, management would intervene. Instead, we are free to say - this is how it is, this is what we wanted to create - if you do not like it, do not use it. 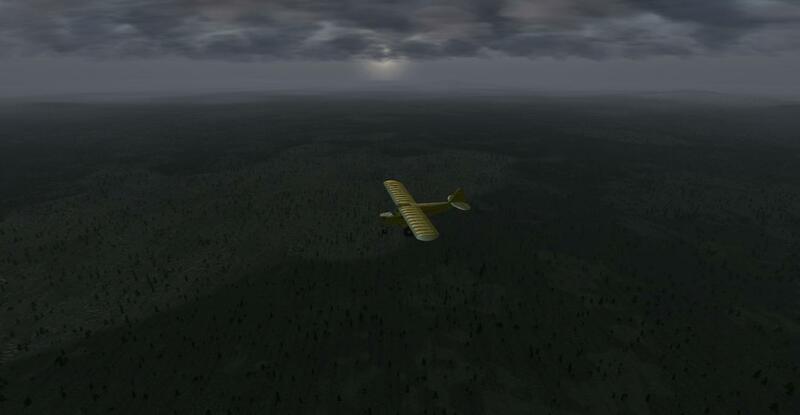 The goal of the FlightGear project is to create a sophisticated and open flight simulator framework for use in research or academic environments, pilot training, as an industry engineering tool, for DIY-ers to pursue their favorite interesting flight simulation idea, and last but certainly not least as a fun, realistic, and challenging desktop flight simulator. We are developing a sophisticated, open simulation framework that can be expanded and improved upon by anyone interested in contributing. First research, training, industry, for tinkerers - and as afterthought also as desktop flightsim. OpenSource is mentioned prominently, the possibility to contribute is re-iterated. What's not in there is 'easy' - it says 'realistic' and 'challenging'. What's not in there is 'easy to set up'. Yes - that happens - see the 'giving things a chance' theme above. We don't aim to create something where the causal user feels home immediately, and we never claim to. If you're the type of user who feels this challenge of staying with it and exploring all the possibilities is interesting, you'll stay - if you value a smooth experience above anything else, you should be going elsewhere, because FG can't really deliver that. Thorsten wrote in Mon Apr 08, 2019 7:08 am: Much of what is actually happening out there is rigged contests (a bit like V12 was doing of late) - take your 500$ paid add-on setup, make a screenshot of that, make a screenshot of FG with all graphical goodies disabled, make a post reassuring yourself how well these 500$ were spent. 1. Costs : FSX steam edition - if You catch action price, 9.99 EUR, PMDG737 70 EUR, ORBX Global 60 EUR, ORBX Global Vector 50 EUR, OpenLC Europe 34 EUR, FSXWX weather freeware, total costs 155 EUR, not 500 USD ! 2. What graphical goodies I disabled on this screenshot ? - white sharply bordered snow polygons. Why are there that borders, when on lower part is clearly visible transition between jungle terrain and snow ? - why transitions doesn't works on left portion of image where is clearly visible patch of terrain ? FG is OpenSource with zero costs and good overall performance, comparable with paywares. But there are still problems that should be fixed by developers without their attack on all, who points on that problems. First of all 'out there' doesn't refer to what you do in the forum and second you are rigging the contest, and I've explained a few times how and even provided examples where I rigged it the other way. The fact of the matter is that you're not interested in a fair comparison or don't know how to make one. Again, FSX steam edition - if You catch action price, 9.99 EUR, PMDG737 70 EUR, ORBX Global 60 EUR, ORBX Global Vector 50 EUR, OpenLC Europe 34 EUR, FSXWX weather freeware, total costs 155 EUR, not 500 USD as You stated ! Ah, and because you spent 155 Euro, it means everyone out there also spends exactly that amount and there can't be people around who have invested in excess of 3000 Euro for addons for instance? From my perspective, I do not think the commercial simulators model is suitable for most of people. It is in fact, generally, more adapted to beginner, since it is more user friendly. But personally, I really do not like paying for a software and then paying more and more to make it better or more suitable to my needs. This is my point of view of the problem. 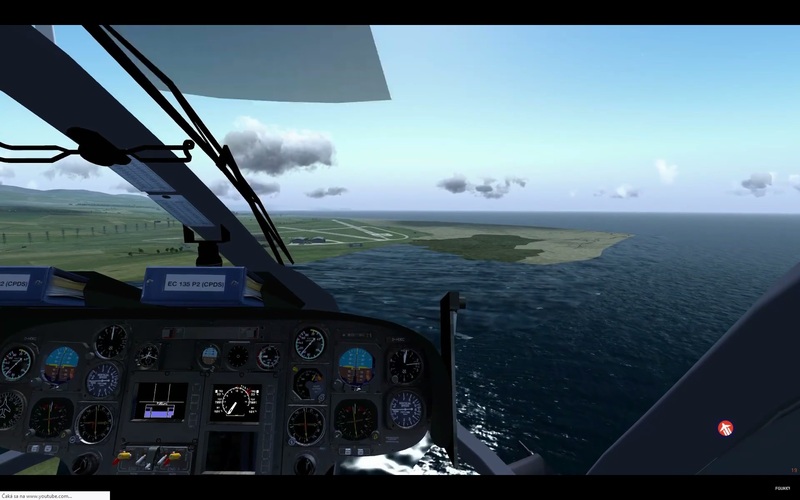 What I find a bit more of an issue, is about the quality of the content of such commercial simulators. 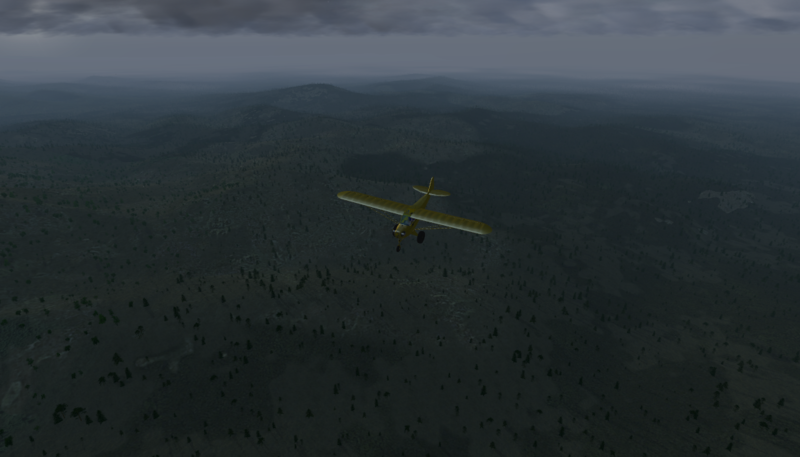 For example, I give a try to X-Plane 11. Ok It is beautiful, scenes are generally more detailed than FlightGear, but when it comes to pure simulation, I must say that I was totally disappointed. For instance, C172 was almost arcade to me, and on the 747 even some nav option were missing such as NAV freq or ADF. When I buy a piece of software, I do not expect it to be of absolute perfect quality, but when you present your simulator as one of the most advanced, I got certain expectations ... In my opinion, the major force of a simulator is its quality of simulating physics itself, maybe we can get some great plane to fly (in term of simulation) in XPlane 11, but it is a shame there are not real good enough default aircraft for a commercial software. In fact, most of Libre software offers me a better alternative than their proprietary counterparts, it just demands time and will to learn to use it. FlightGear is one of those, I you give it a chance and go further than its graphics appearance you can truly appreciate it. To conclude I think that FlightGear is probably the best sim for enthusiast people, the commercials alternative is more suitable to real pilots or enterprises that have not the time to setup a complex software like FGFS and have money to spend in order to get something working for their need out of the box. 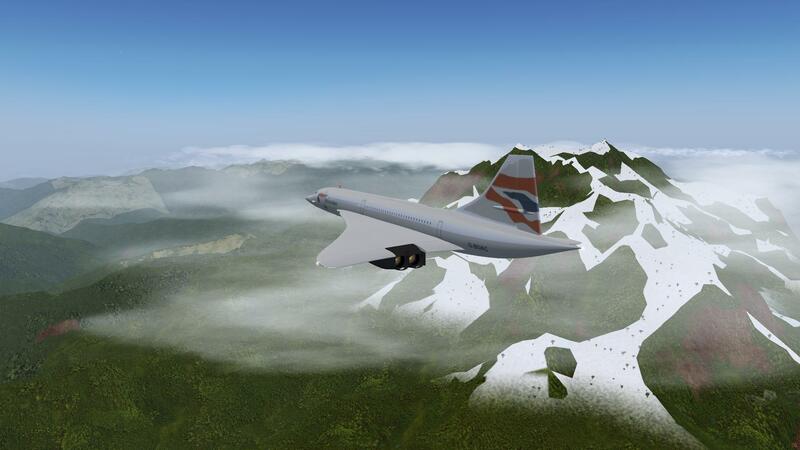 FlightGear is not easy to use, but far more customisable than any other sim and this is its major force. For instance, @V12, here is a perfectly working transition shader between different textures. Yeah, he knows that as he participates in SOTM with a completely different kind of screenshot. He just disregards those and selects areas where there's no overlay definition and no blending when he posts about how great FSX is. I think these examples point out what I have always understood to be true about FlightGear. It has the tools to be utterly outstanding. What it doesn't have is manpower to leverage the technology we have to it's max, especially world wide scenery. Same things applies to aircraft. Every time a new GTA came out I was astonished with the detail of the scenery. At the end of the game I would watch the credits, something my gaming kids insisted on. Have you ever sat there and watched the credits to the full time, paid, dedicated professionals that work on the graphics alone. Were talking about a couple towns, not the entire globe. Why do parts of Alaska look so well blended? Because someone likes the area and has spent hours working on in. I don't think there is any part of the world scenery that wouldn't look as good if someone put time into it. Do any of these other simulators have the capability to do flex rope? Can they be made to haul and stack cargo or erect towers or load xmas-trees in a dump truck? DO any of them model float aircraft like we can? I could go on and on but I want to get back to work. i think this is key... one would think that if overlay/blending works in one place, it should work in another... that it doesn't would seem to indicate a problem so a question is raised... this particular part of a response (above) may be easily missed... i've only just now caught it and start to grok it... that brings another question... what does it take for the overlays/blending to be done everywhere so there are no whack pics? would seeing the problem, once all areas are overlay/blending capable, be more indicative of a video driver problem? ... what does it take for the overlays/blending to be done everywhere so there are no whack pics? would seeing the problem, once all areas are overlay/blending capable, be more indicative of a video driver problem? There's no simple answer to that one. As I said elsewhere, some transitions are sharp in nature (managed forest). Sometimes a suitable vegetation definition an density creates just the right amount of blurriness on top of textures (often for denser forests). Sometimes adjacent landclasses need different base layer textures but changing overlay. Sometimes two landclasses need the same textures but different vegetation to look like in reality. Sometimes sharp boundaries can simply left to stand. Sometimes we can't really solve the transition (fractal transitions, like a river delta depositing sand into some other terrain where each of the ever-smaller river branchings carries something). Sometimes the base landclass data is crappy and someone would have to re-run terragear. Sometimes the terrain is just bare and someone needs to write any regional definitions. Sometimes the assigned textures are just wrong. Sometimes an OSM2CIty overlay does what a texture can not do. It's generally artwork - one needs to identify an area that needs attention, realize what is missing and deploy the available tools. It takes me many looks at aerial photography and close-up shots and many hours of trying different solutions to come up with a decent regional texture pack.